Provide control of insulation diameter or wall thickness. Integrates with Proton Products DG Series Diameter Gauges for insulation diameter measurement. Single axis (NEXiS® CS2G) model controls the extruder based one axis of diameter measurements. Double axis (NEXiS® CS2G-XY) model controls the extruder based on two axes of diameter measurements. 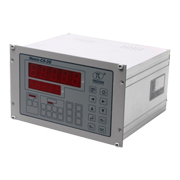 Mid-range insulation diameter control with colour LCD touch-screen display. For control of one extruder or capstan drive from one or two diameter gauges. 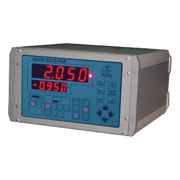 Integrates with Proton Products DG or DG-k Series Diameter Gauges for insulation diameter measurement. Colour 800×480 LCD touch-screen display. 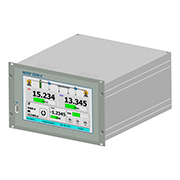 Integrates with Proton Products DG and DG-k Series Diameter Gauges for insulation diameter measurement. Single output controller (NEXiS® CS1000-S) model controls one extruder for single-layer insulation applications. Twin output controller (NEXiS® CS1000-T) model controls two extruders for double-layer insulation applications. 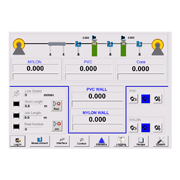 Graphical user interface software may be installed on a user-supplied PC or on an optional NEXiS® CS5G 14-inch colour LCD touch-screen industrial PC.